Summary: Light rain on Tuesday, with high temperatures falling to 62° on Tuesday. 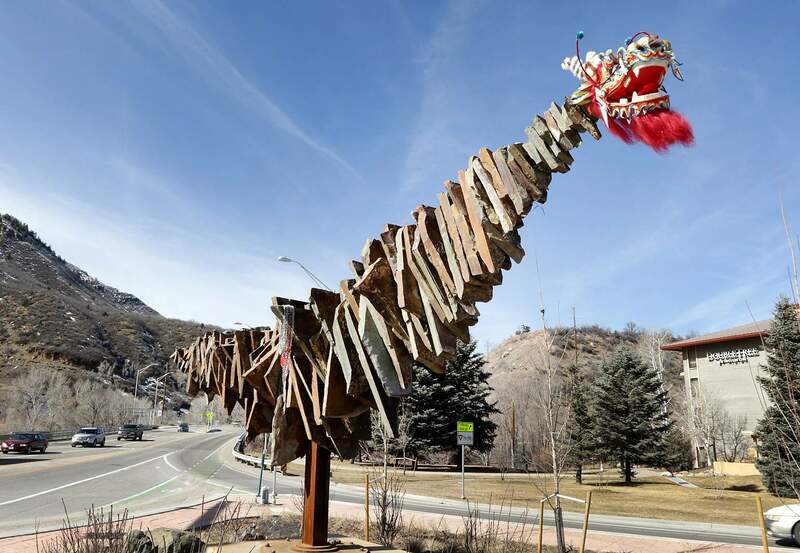 The city of Durango plans to install public art in the raised medians at the U.S. Highway 550/160 intersection, where the Arc of History used to be located. Residents have different ideas about what that art should represent. The Arc of History, which was removed after being vandalized, donned several costumes, including this dragon’s head to mark the Chinese new year in 2015. 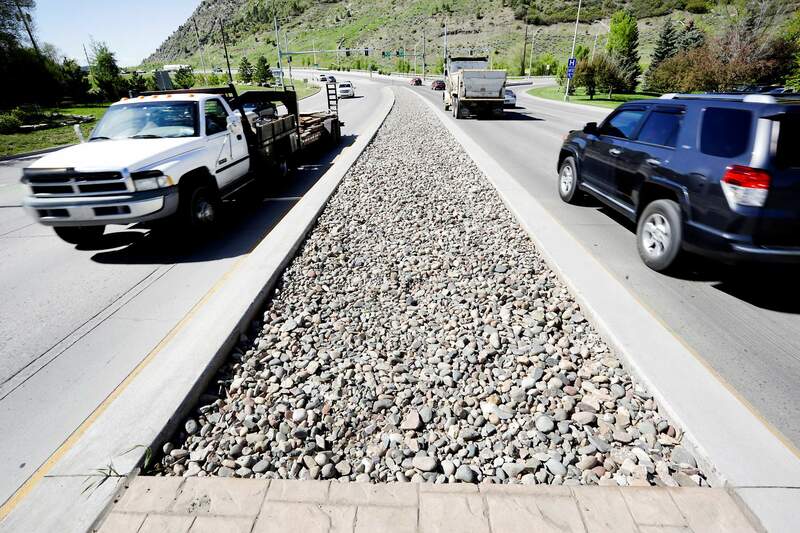 Durango-area residents have mixed feelings about what should happen with the raised medians near the DoubleTree Hotel intersection, where the city plans to install $25,000 worth of public art. More than 50 readers responded to a request for feedback in a story published Friday on The Durango Herald’s website. Some said they wish the medians would disappear, saying the dividers are cold and ugly, and, as one reader put it: “nihilism.” Others said the medians should be left alone, to remain forever as monuments to raised concrete and rockbeds. Others wished for flowers, shrubs and trees in the otherwise barren medians. When it comes to what kind of art should be installed, many readers hit on a common theme – whatever it is should reflect local hobbies and scenic attractions common to Southwest Colorado. “A bike, a ski, a snowboard, a runner, a river raft, a fishing pole, a hiking boot, some books, a beer keg,” wrote Barbara Arnold. But most important, readers said the artist should be local, and whatever ideas are used should come from the community. “We have a lot of artists in La Plata County that would make something that would represent our history and that all of La Plata County could be proud of,” wrote one reader. The city seems to have heard residents’ pleas for local involvement. In its call for artists, the city asks applicants to come up with a concept and a process for involving the community, said Colleen O’Brien, the city’s business development and redevelopment coordinator. In other words, the artist will oversee much of the technical skills needed to design the project but must also create a public process for including the community, she said. “Our goal is to make it a very interactive process,” O’Brien said. Artist applications are due Dec. 15. A team will narrow them to three finalists, who will present their design concepts and process to the public. The community will then vote for the artist and concept they like best, O’Brien said. Part of the artist’s challenge will be including Durango High School students to complete aspects of the project, she said. Other entities involved include the city’s public art commission, Fort Lewis College, Durango Arts Center and the Colorado Department of Transportation. The city received a $25,000 grant from the National Endowment for the Arts to fund the public art project. Several residents who offered feedback about what they’d like to see said whatever it is should lend itself to local “interpretation,” similar to what happened with the Arc of History when residents decorated it. The Arc of History was widely ridiculed for its aesthetic value, and residents had fun with it by topping it with a dinosaur head and a dragon head, among other decorations. The stone sculpture was ultimately destroyed, possibly by someone wielding a sledgehammer. O’Brien said the city doesn’t mind residents having some fun with public art, but the medians are part of a busy intersection, and it may not make sense for such foolery. “I think it will be very difficult and dangerous in this intersection, because of the nature of the intersection,” she said. The city considered planting vegetation in the medians, she said, but the medians have no irrigation and are difficult to maintain because they’re in a CDOT right-of-way with high traffic volume.